If Ima on (and off) the Bima posted this image and story on her blog today, can Pesach be far behind? I'm in! 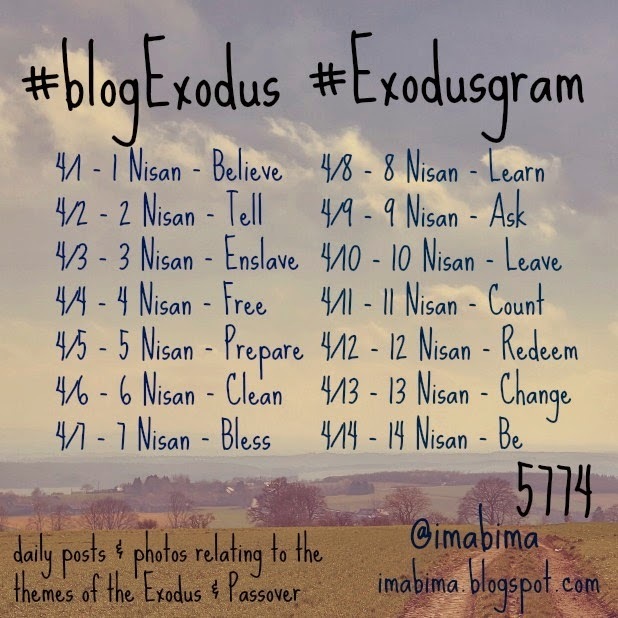 Watch this space for my first #blogExodus post of 5774 which, with any luck, will appear next Tuesday. But, as the Ima says, "There aren't any rules.... It is what you make of it." Hmmm...sounds a lot like life. Looking Out For "Our Yankees"